Location: 258-260 Water Street West. 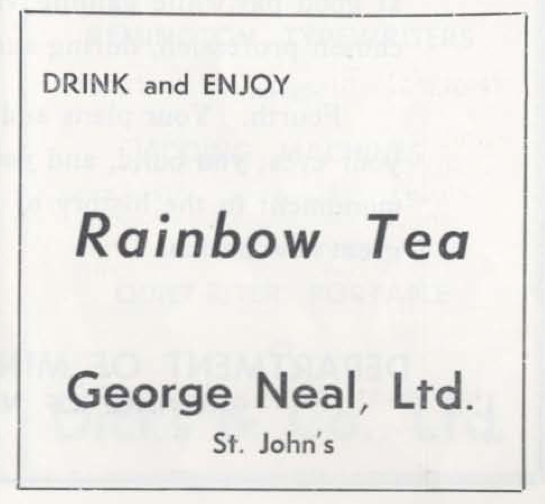 Brands: Haig Ale and Stout (prohibition sub-2% “near beers”), Dominion Ale and Stout, Rainbow Beer, INVALID STOUT (“for those with delicate health”). 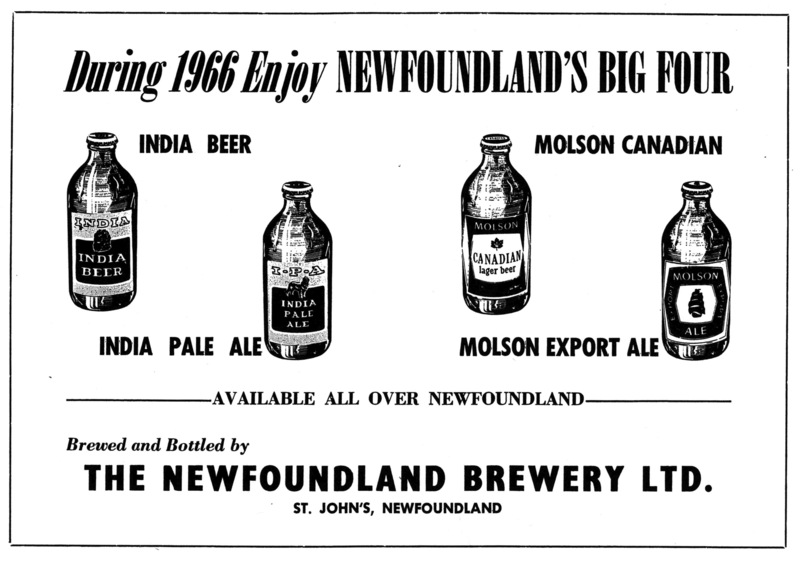 What Happened: E. P. Taylor’s Canadian Breweries Limited (1951) (which already had Black Horse and O’Keefe’s Old Stock in NL). 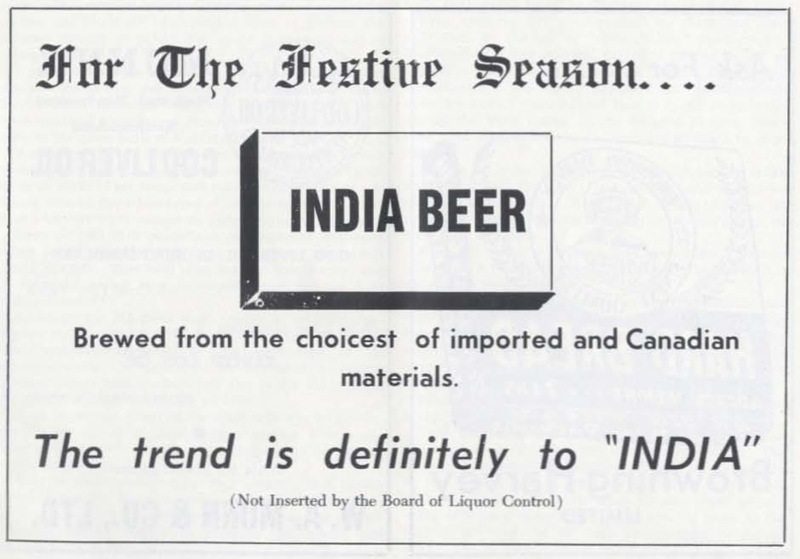 Further: Canadian Breweries Limited shifted over time into Carling-O’Keefe, which was then taken over by the Molson Brewing Company in 1989 (which is now, as of 2005, Molson-Coors). Close-up of the text from the above advert. 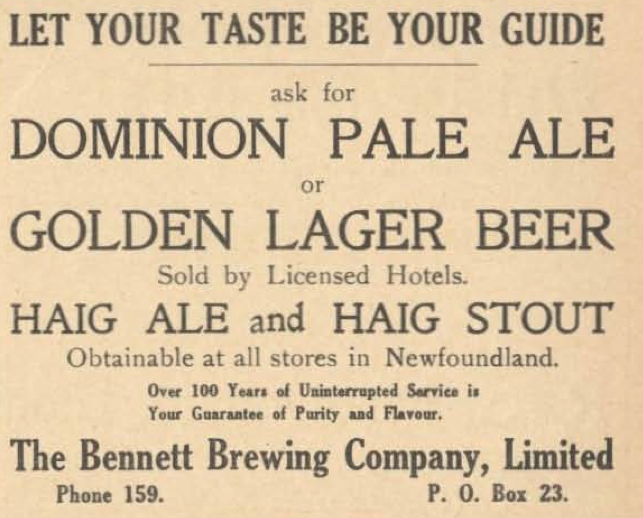 Charles Fox Bennett, who founded The Bennett Brewing Company, Limited, St. John’s, in 1827, is one of the most colorful figures in the history of Newfoundland. Born in the West of England, he came to the island colony in his teens and when he died in 1883, at the age of 91, he left his mark indelibly on its politics and economics. 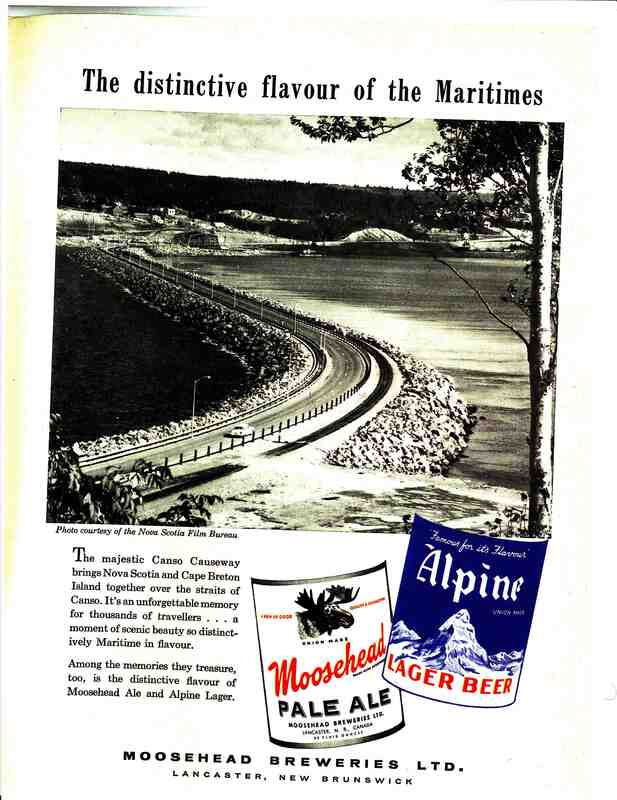 Bennett’s foresighted mineral speculations, at a time when faith in the colony’s min ing potential was practically non-existent, made possible mining developments that did not come to their triumphant fruition until the 1960’s. 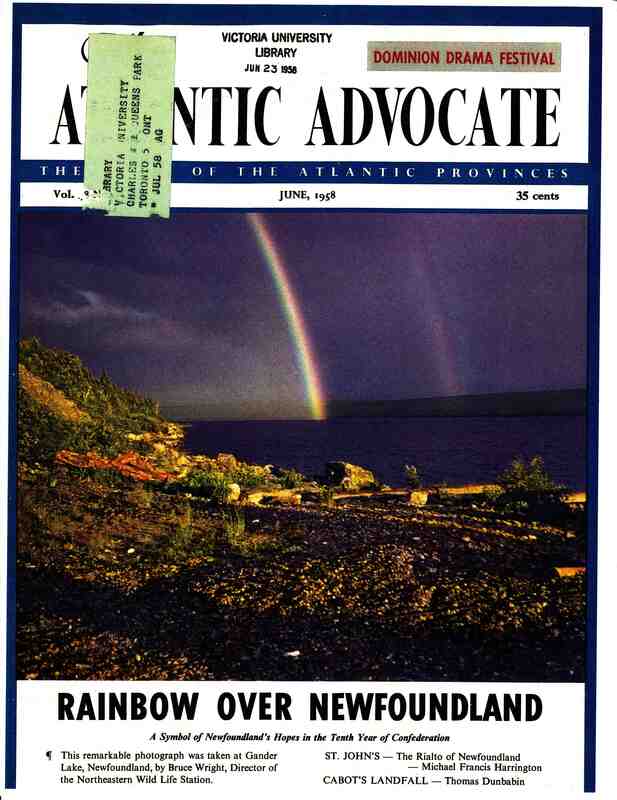 And his leadership of the anti-Confederate Party in the famous election of 1869 was instrumental in keeping Newfoundland outside the Canadian Confederation until 1949. He became Premier of Newfoundland at the age of 77 and remained in office until 1873. 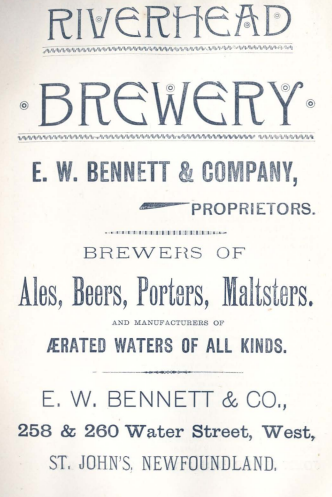 In Bennett’s day the brewery was known a s Riverhead Brewery. 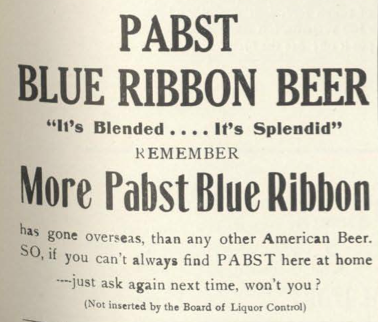 It did not assume its present name until after it was taken over in 1884 by Edward W. Bennett, who was no relation of the founder. 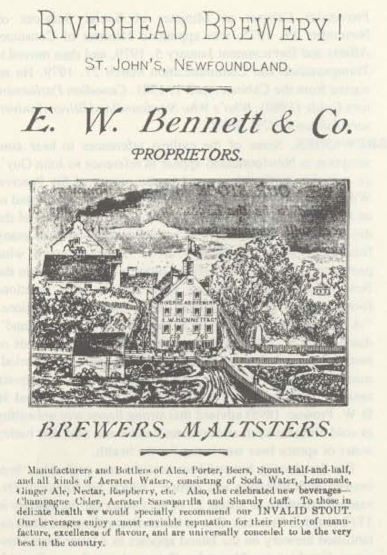 In early years the brewery did its own malting and the old malting floor still exists. 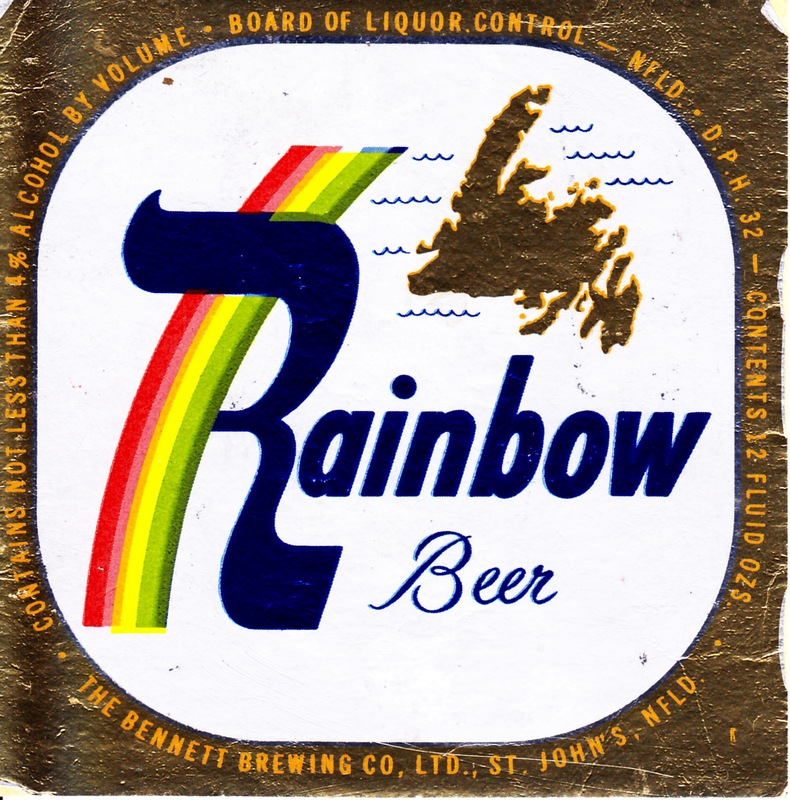 Today Bennett Brewing is one of the most modern in Newfoundland. 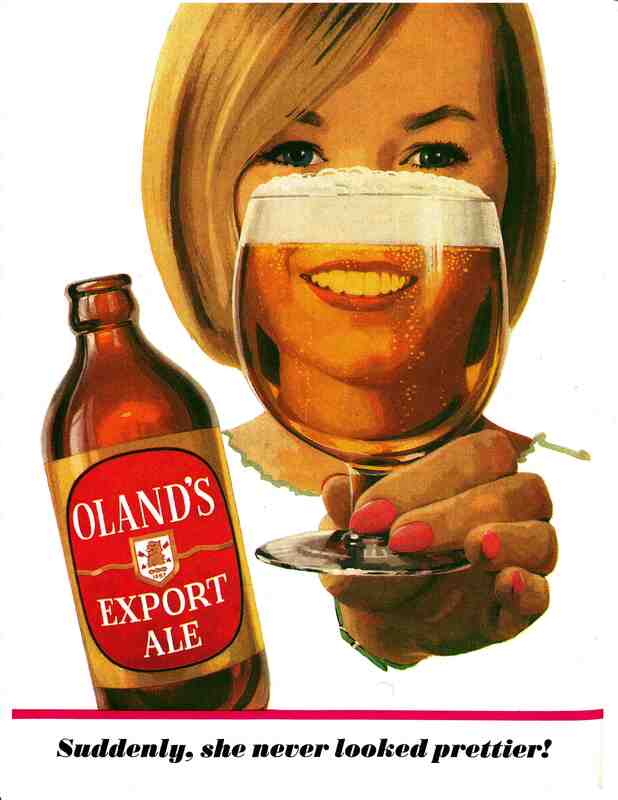 100 per cent automatic equinment ensures that the product is untouched by human hands from the time return bottles are washed until the beer is opened for drinking. 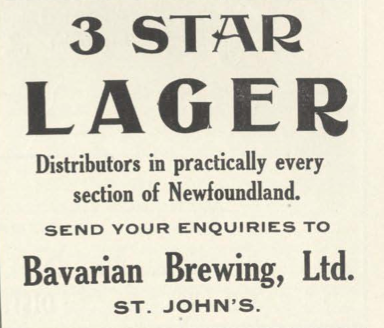 In 1902 the company converted to a limited liability public company and in 1962 it was purchased by Canadian Breweries Limited. 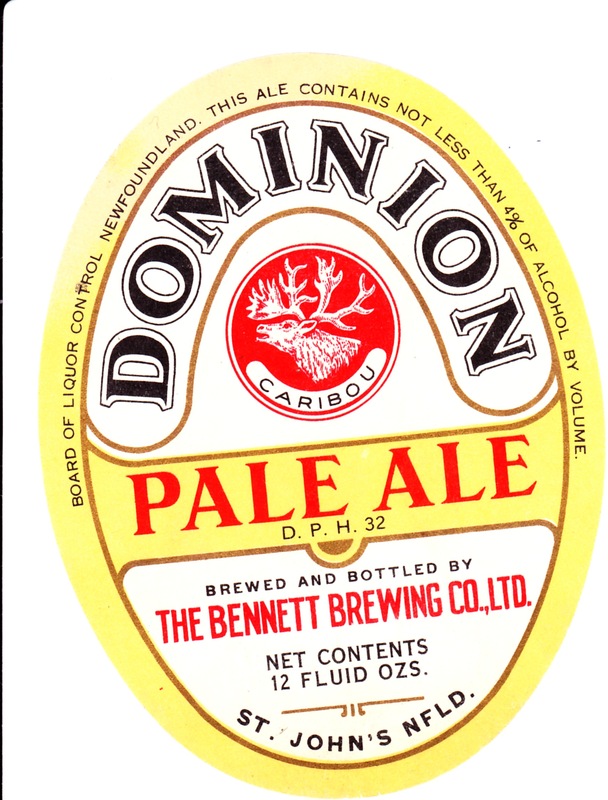 Principal products: Dominion Ale, Haig Light Beer, O’Keefe Ale and Old Vienna Lager Beer.